Safeco Field is the home of the Mariners baseball team, and the stadium is located just south of the city center in Seattle. The Seattle Mariners’ original home, the Kingdome, was replaced in the 1990s by Safeco Field, which hosted its first Major League Baseball game in 1999. The stadium holds more than 47,000 spectators for baseball games, and features a retractable roof. 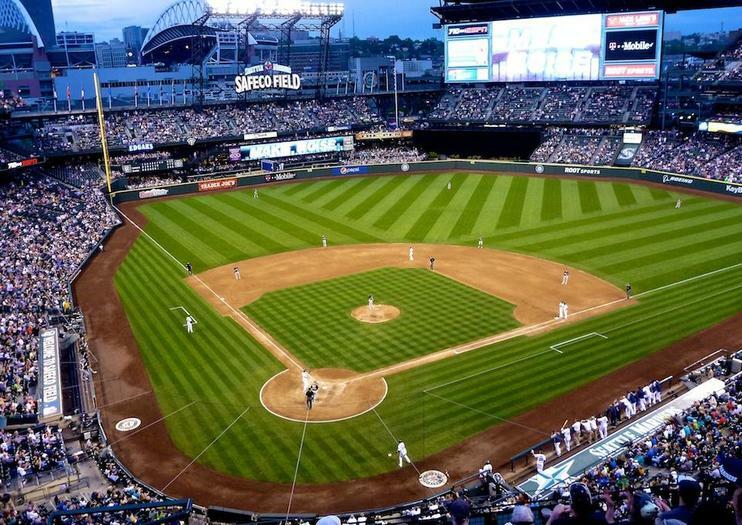 Among the attractions at Safeco Field - besides the baseball games themselves - are the Mariners Hall of Fame, the Baseball Museum of the Pacific Northwest, and the many baseball-related pieces of artwork on display throughout the stadium. Safeco Field is in what’s known as the “SoDo” neighborhood - South of Downtown - and is easily reached via public transportation. One-hour tours of the stadium are available April-October at 10:30am, 12:30pm, and 2:30pm (except on game days); and November-March at 12:30pm and 2:30pm Tuesday-Sunday. See the best of Seattle on this private, 3-hour, sightseeing tour. Pick and choose the sites and attractions with the most appeal and let an expert guide lead the way. Consider the many options: the iconic Space Needle, the famous Pike Place Market and the Elliott Bay waterfront. How about Pioneer Square, the birthplace of Seattle, or the Ballard Locks? Get sweeping views of Puget Sound and Mt Rainier. This customizable tour includes hotel pickup and drop-off.